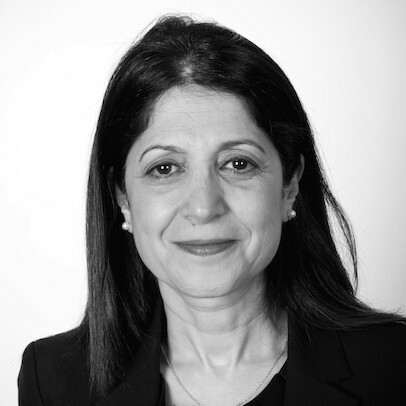 Firoozeh Ghaffari graduated from University College London with a BSc and MSc in Economics. She is a qualified Chartered Accountant and a fellow of the Institute of Chartered Accountants in England and Wales. She worked in practice at PricewaterhouseCoopers in London where she gained experience in auditing a wide range of blue chip UK industries. She later worked for four years as group financial controller in Canada before returning to UK to join Middlesex University in 1996. Firoozeh is currently the Head of the Accounting and Finance Department in the Business School. She has served on a number of committees including the Independent Remuneration Panel for Barnet Council where she was the Chair of the Committee. She currently serves on the Executive Committee of Heads of Departments of Accounting and Finance in UK. She is the Governor of a mixed multi-ethnic secondary school based in Hendon with 1500 students where she Chairs the Finance Committee. A period study of short-term performance pressures: Case of the British Biotechnology Industry, Angathevar Baskaran, Jatin Pancholi and Firoozeh Ghaffari, The Business Review. Volume: 5, Issue Number 2, September 2006 ISSN: 1553-5827. 'Disclosure of Social Information by Small/Medium Sized Companies' Parsa S and Ghaffari F, Global Business amp; Economic Review, December 2003. A period study of short-term performance pressures: case of the British biotechnology industry.